Sunday was another full day of driving and learning. 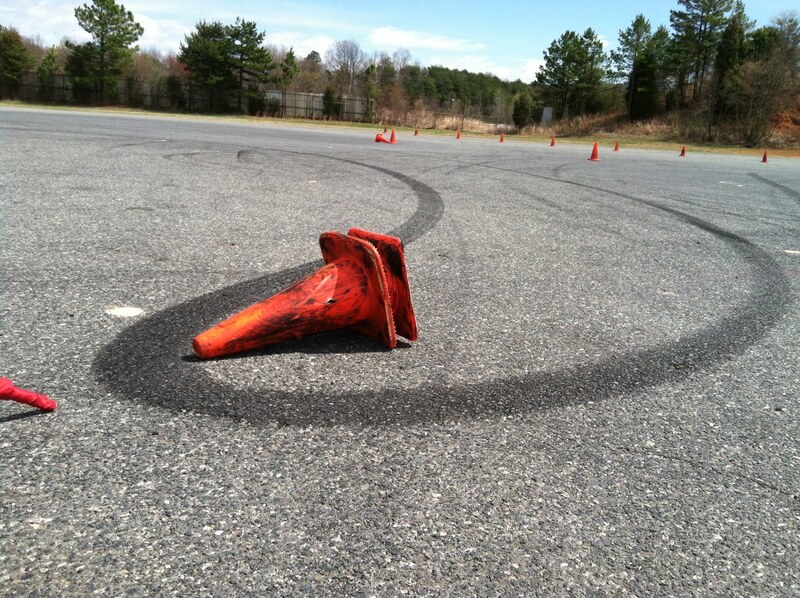 Luckily the weather dried up a bit, but the wind was turned up to 11, so it wasn't a whole lot of fun to stand around and pick up cones, but the reward of seat time was fantastic. This class ended up about 12 students, compared to the 17 or so on Saturday. We had cars ranging from the high-end Porsche 911 turbo to a 10 year old stock Honda Civic, which just goes to show, it doesn't matter what level of driver you are or what level of performance your car is capable of, they'll teach you how to make the most of it. I still think this is one of the best parts of autocross; it doesn't matter what car you bring, just that you are driving it with the most skill. The Phase 2 class really focuses on emphasizing the techniques learned in the Phase 1 class. The way they approached the teaching was great and it really was a challenging experience. I don't think I was really implementing all of the techniques yet, but it really drove home the understanding of what I needed to be doing and really gave me an understanding of how to self-critique and make improvements at all the future events. I know I'm going to need a lot more practice, but I feel confident I have the tools I need to make big improvements and build those skills. This should be a really exciting season for me! Who Does #2 Work For?! British Car Show, Featuring British Cars!